AG and Sons: How to Select Between Full Eternity Ring and Half Eternity Ring? 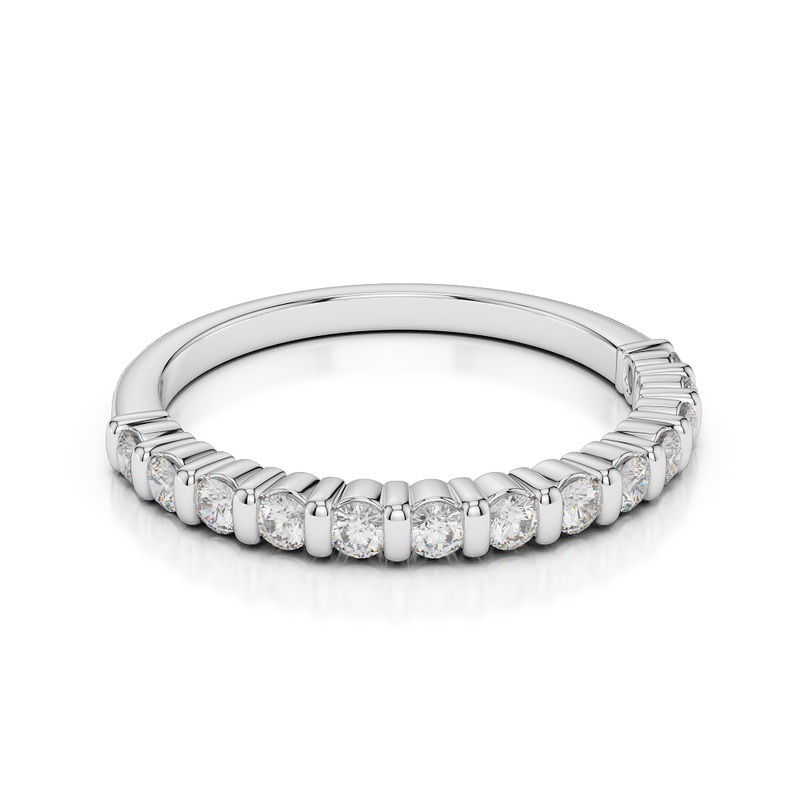 How to Select Between Full Eternity Ring and Half Eternity Ring? Buying a ring always come as a process much thoughtful and considerable. 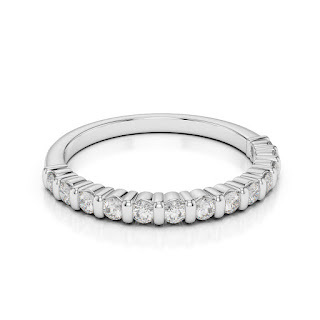 An eternity ring is one such ring that is supremely brilliant both in aesthetic appeal and their symbolism. These are awe inspirational pieces of jewellery that get the eyes of every woman. These rings have a sense of grandeur that only a few rings can match. That's why they are widely preferred among women. Eternity rings as the name suggests are a strong symbol of everlasting love that denotes high expressions and impressions and a feeling of strong commitment among two people. These are generally to mark a significant event like an anniversary or birth of a first child; it is gifted for lifetime cherishing. However, for an expensive item like an eternity ring, you need to be extra cautious. Buy a stunning ring that embraces your shine and all the efforts in ring selection should not go in vain. These rings are set in a fashion that diamonds or gemstones sit only at the exterior part of the ring and not on the inner side. It tags along its own set of advantages and disadvantages and when you buy this ring, you definitely should know them. One such advantage these rings possess is-- it is easily resizable. It means that these rings are easy on adaptability as with age your ring size changes and you can easily get it altered. 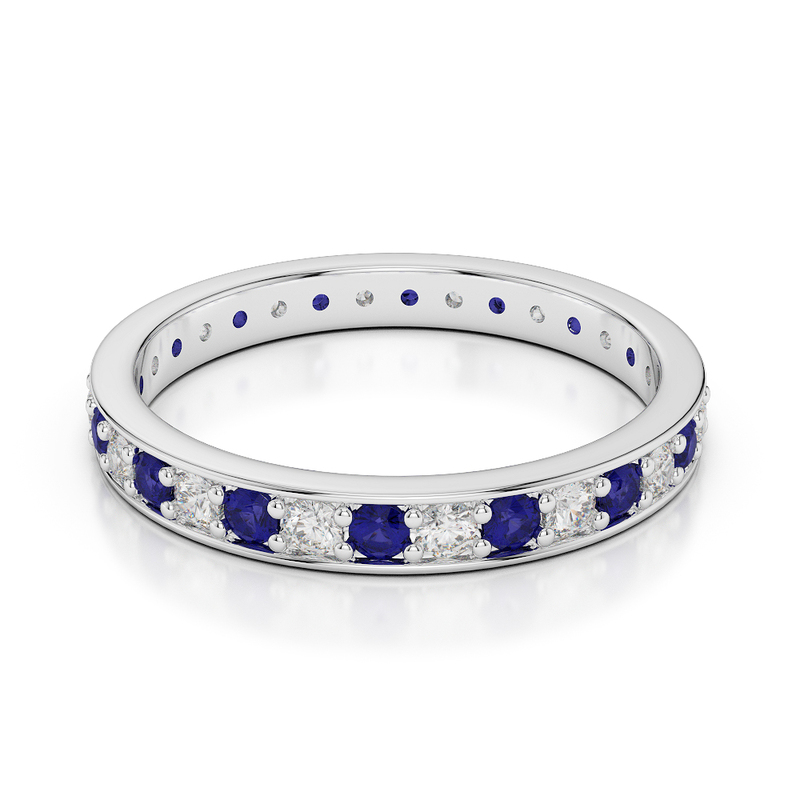 Not only this, half eternity rings are extremely desirable for many potential buyers. They weigh loss and with fewer diamonds infused, they cut on pricing. With less precious stones and diamonds mounted on the ring, you are sure to get a filling experience as the diamonds will only show on the exterior and they have less tendency to be visible beneath. However, the carat and ring size depends on the final pricing but definitely; half eternity would be less of cost. 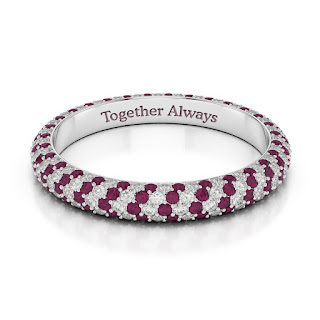 Next comes is full eternity ring that features diamonds or gemstones typically set on the entire shank of the ring. These rings feature quite a site to see. The noteworthy aspect of this ring to be sold widely is the high symbolism it offers. The concept behind making it a series of diamond that revolves around is showcasing the eternal love. When compared to half eternity ring, this is quite a blazing site. Undoubtedly, these rings are high on price but definitely they become a classic heirloom and weigh high on every aspect. If you are scared on limitations with designs, don’t worry these rings are curated with plenty of styles making it a piece chosen widely. The final though is whatever you choose- half eternity or full eternity ring, the rings are special and meaningful. With plenty of diamonds sparkling through their way out, they create quite a joy ride boosting the look and adding grace to eternity.